Negative Experiences In Yoga Practice - Survey Results Are In? 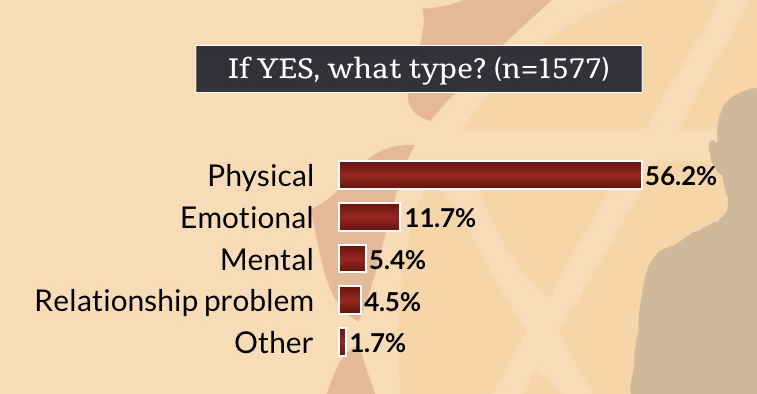 What Negative Experiences in Yoga Were Reported in Our Survey? A good amount of media attention has been paid to yoga and its potential for causing injury. However, these reports have often been anecdotal, individual cases. They haven’t said much about what kind of trends might or might not exist with regard to negative experiences in yoga practice. In order to explore that question, we asked practitioners a series of questions in our survey to get more information about what negative experiences they were having in or related to their yoga practice. It has always been my contention that context matters. This was in fact, one of the strongest driving forces in creating this survey. In the same way that postures don’t live in a vacuum, neither do the injuries that may come from them. Were there pre-existing conditions? Was there influence by a teacher? What age was the practitioner? What was their level and frequency of practice? These are just some of the contextual factors that might influence the incidence of injury or other negative experiences in yoga practice. 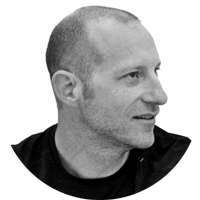 Stay tuned for a future post where we’ll report more specifically on the relationships between practice context and injury in yoga. You’ll remember from our last post, that the respondents to this survey were primarily long-term practitioners (greater than four years practice) between the ages of 31 and 55 who practiced both at home and in a studio environment. 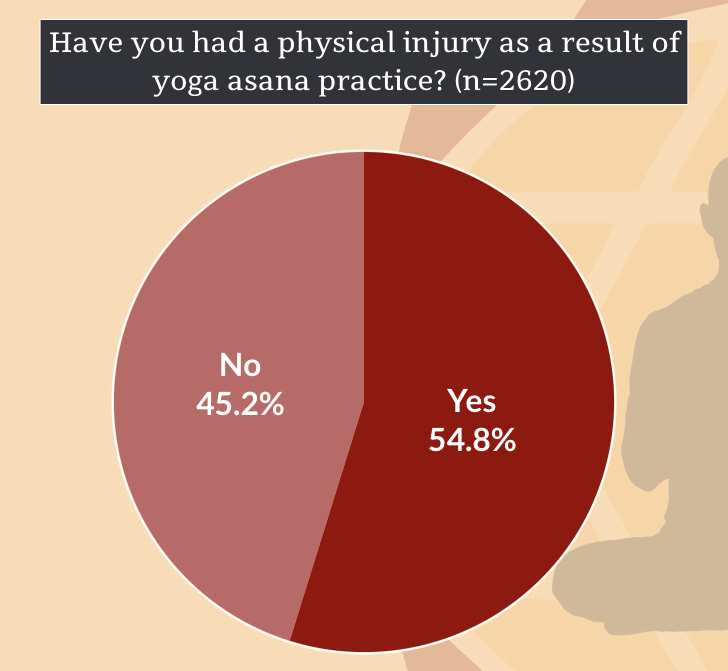 Although close to half (54.8%) of respondents (n=2620) reported yes, when asked specifically if they had had a physical injury as a result of yoga asana practice, the number of injuries that respondents reported over a lifetime of practice was fairly low compared to other activities like dance, CrossFit, or some styles of martial arts. 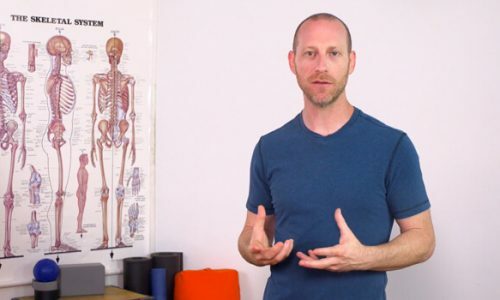 The most common areas in the body where practitioners reported getting injured among those who did report an injury were: knees (12.1%), shoulders (11.5%), low back (11.2%), and “hips”, which included hamstring injuries (9.6%). You’ll remember in our last post, that we asked a similar follow-up question, “Where in the body did you experience healing?” of those respondents who reported experiencing healing from a pain or injury in the body. 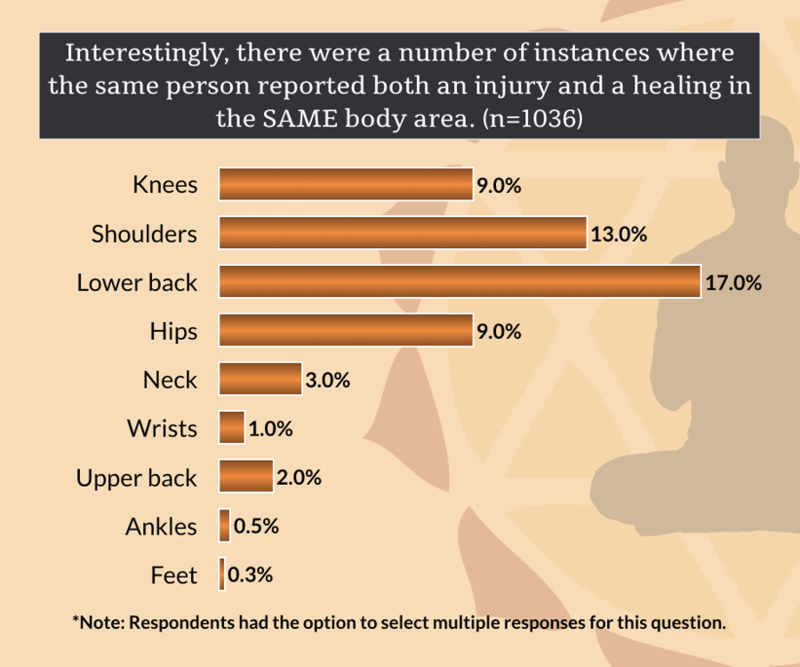 We’re showing that graphic again here, so you can see the similarities and differences between areas of the body where respondents reported injury and areas of the body where respondents reported healing. 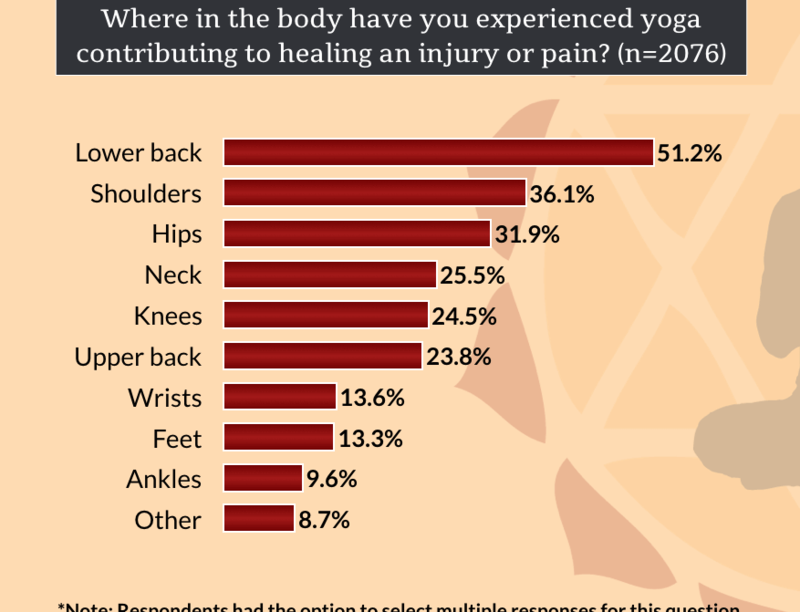 Interestingly, some individual respondents reported experiencing both injury and healing from yoga in the same area of the body! 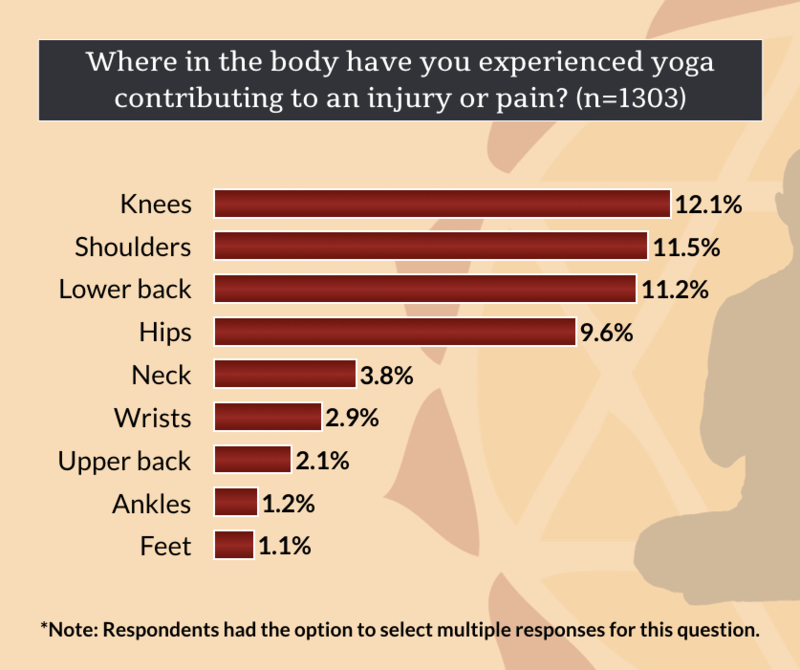 We can’t make specific conclusions about injury or healing from this kind of survey data. 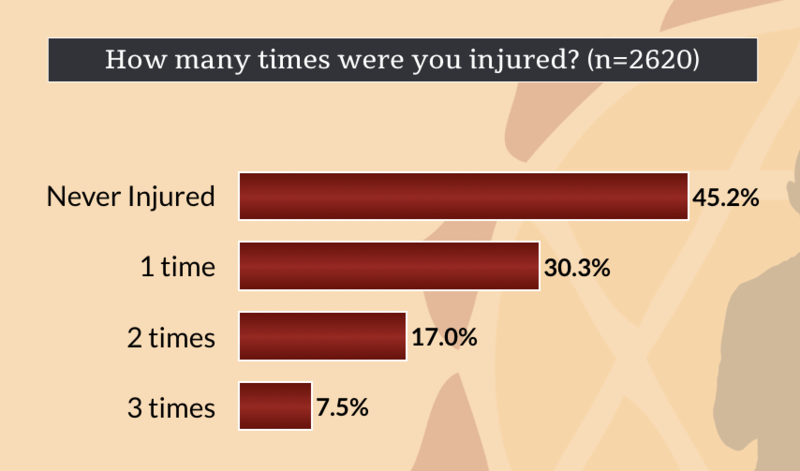 We don’t know the relationship between the injury and healing experienced by respondents as this wasn’t addressed in our survey. 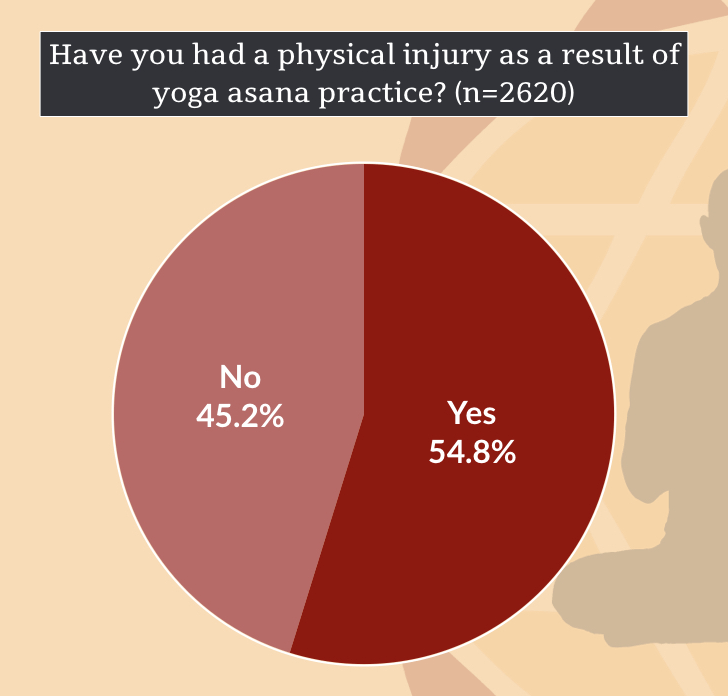 What the survey results do suggest is that yoga practice itself is not inherently healing or injurious, either in general, or in relationship to particular areas of the body. Some percentage of respondents reported experiencing injury, some reported healing, and some reported both, even in the same area of the body! As social media yoga challenges are a part of the yoga discussion on Facebook, Instagram, and other social media outlets, we were also curious whether these kind of challenges in particular were pushing practitioners to try postures in a way that increased injuries. 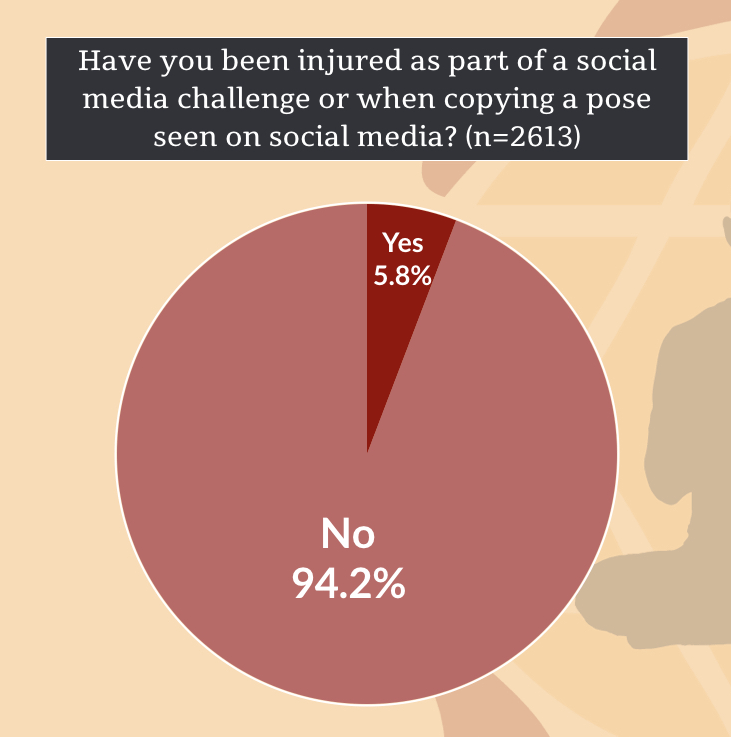 Very few respondents (n=2613), only 5.8%, reported getting hurt as part of taking part in a social media yoga challenge. Most practitioners did not relate their injury or negative experience in yoga practice to either verbal or physical pressure from a teacher. 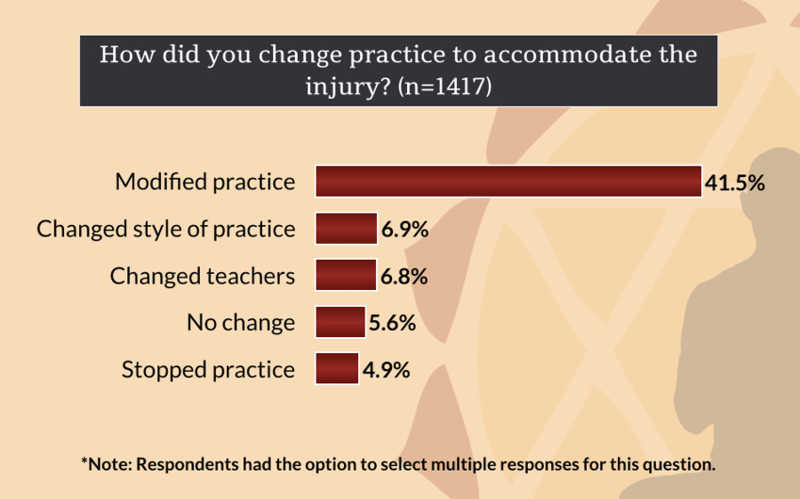 When asked: “At any point before the injury occurred, did you feel like a teacher was directing you specifically to do something inappropriate for your level of practice?”, 79.6% of respondents (n=1415) answered no. 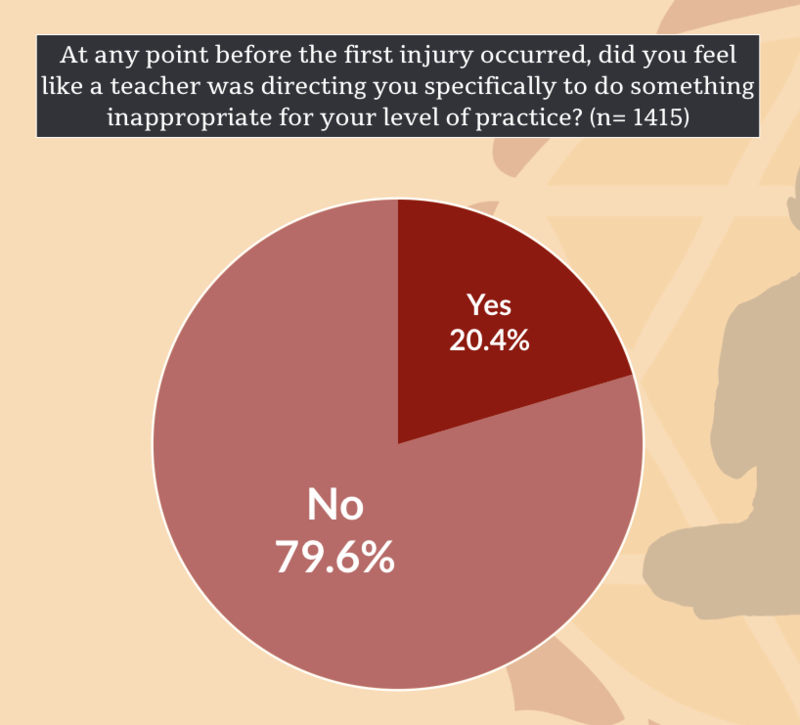 When asked whether they were being adjusted when they got injured, 68.4% of respondents said no. 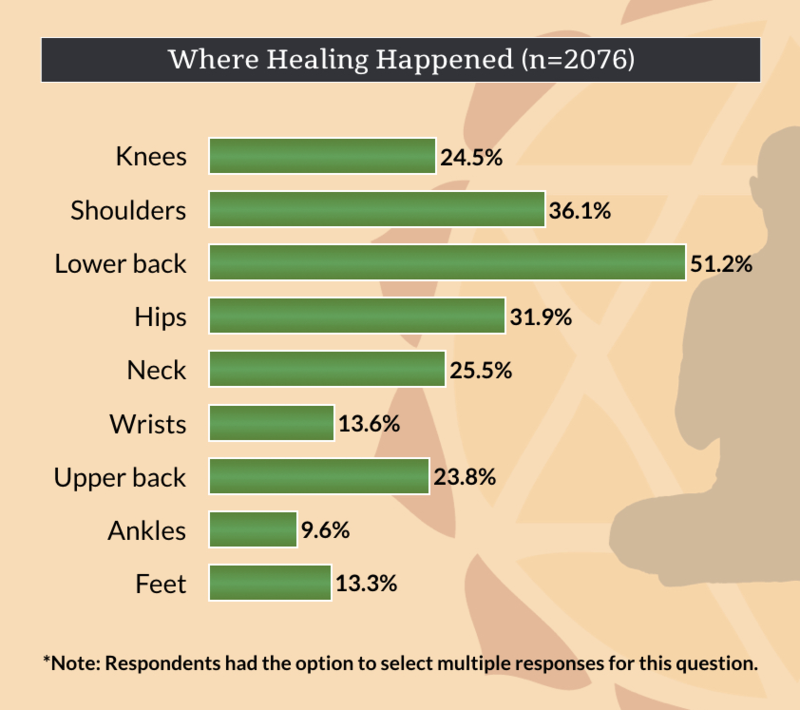 22.2% said they were receiving a physical adjustment when they were injured and 4.6% reported that they had received a verbal adjustment that contributed to their injury. 4.8% didn’t remember the circumstances of the injury. 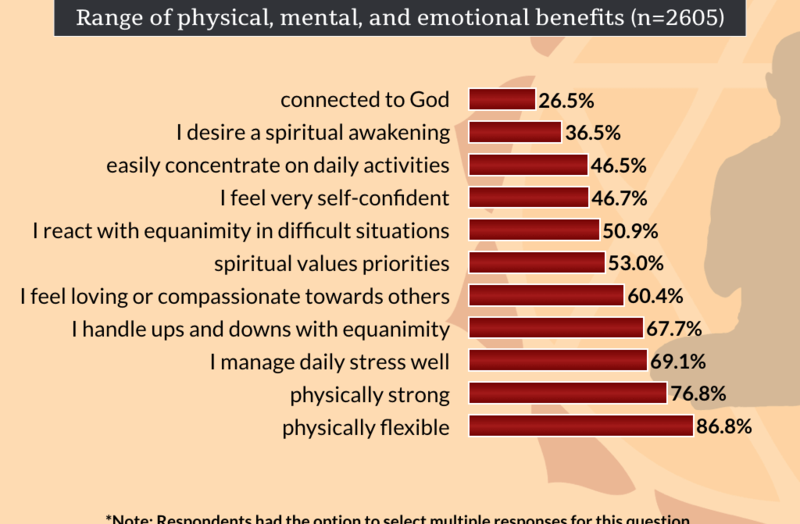 Yoga experience as self-reported by respondents seems to be something that they view as a generally positive experience with some occasional set backs or stumbling blocks along the way. We recognize that our respondents are practitioners and there is bias in reporting the experiences of those who have chosen to continue participating in yoga. Those who have not chosen to participate in yoga, may have different experiences to report. **A Note on Statistics: For each descriptive statistic included in our summary post, a number “n” is included in parentheses (n=). This indicates the number of people who responded to each individual question reported in our summary statistics. Percentages for an individual question were calculated based on the number of people who answered that question. This varied from question to question as not everyone answered every question. DiPasquale, S., N. Becker, S. Green et al. 2015. Self-reported injury and management in a liberal arts college dance department. Medical Problems of Performing Artists. 30(4):224. Jensen, A.R., R.C. Maciel, F.A. Petrigliano et al. 2017. Injuries sustained by the mixed martial arts athlete. Sports Health-A Multidisciplinary Approach. 9(1):64-69. Joka, T., N.D. Clarke, D.D. Cohen et al. 2015. Etiology of musculoskeletal injuries in amateur breakdancers. Journal of Sports Medicine and Physical Fitness. 55(10):1174-1183. Lin, T., H.R. Marucci-Wellman, J.L. Willetts et al. 2016. 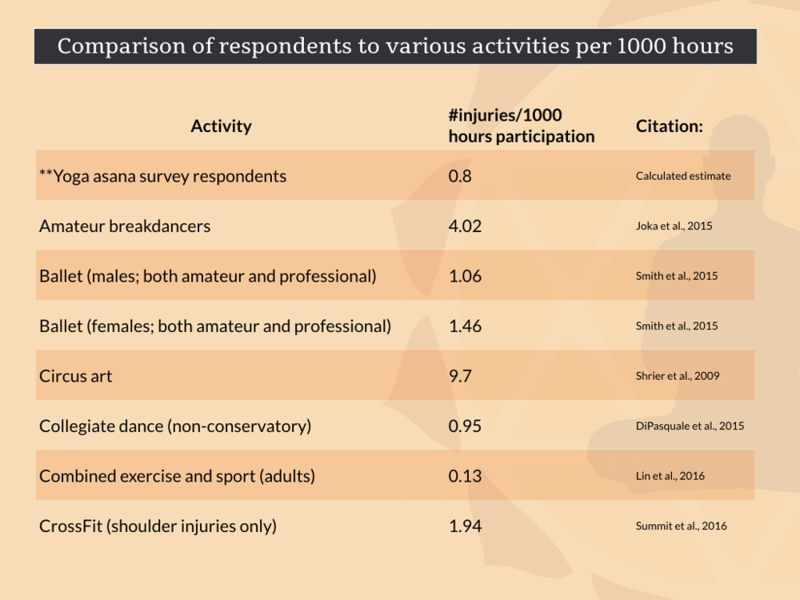 Combining statistics from two national complex surveys to estimate injury rates per hour exposed variance by activity in the USA. Injury Prevention. 22(6):427-431. Shrier, I., W.H. Meeuwisse, O.G. Matheson, et al. 2009. Injury patterns and injury rates in the circus arts. American Journal of Sports Medicine. 37(6):1143-1149. Smith, P.J., B.J. Gerrie, K.E. Varner et al. 2015. Incidence and prevalence of musculoskeletal injury in ballet: a systematic review. Orthopaedic Journal of Sports Medicine 3(7):1-9. Summit, R.J., R.A. Cotton, A.C. Kays et al. 2016. Shoulder injuries in individuals who participate in CrossFit training. Sports Health-A Multidisciplinary Approach. 8(6):641-646.